Fortunately, I didn’t have to wait much longer. The package was delivered at 11:59 (I assume, I had no idea) but there was no chance to film an un-boxing video – I just wanted to try it as quickly as possible. I actually don’t normally wear watches – this should be interesting. Just turned it on, the screen has come to life – it looks great! Blacks and whites are deep and rich. Immediately feels premium (1.3″ P-OLED display). Not nearly as heavy as I’d imagined (62g). Wrist strap feels a bit cheap. First thing it tells me to do after selecting a language is download Android Wear on my smartphone from the Google Play store (I’m using an LG G3 to pair it with). 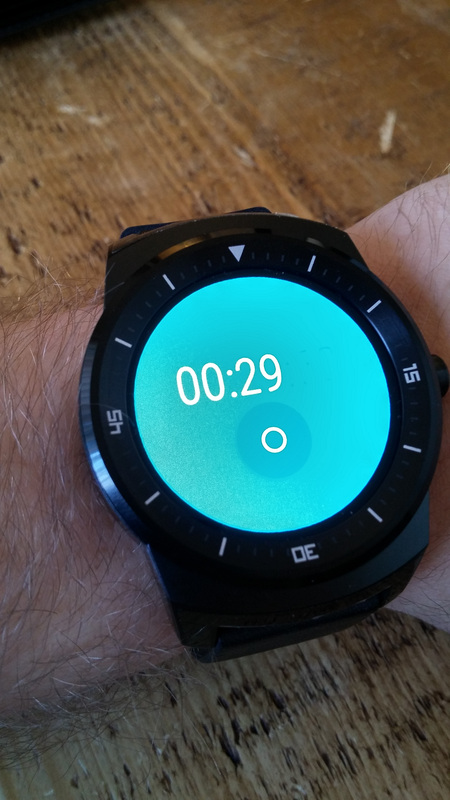 Within seconds the watch is paired over Bluetooth. 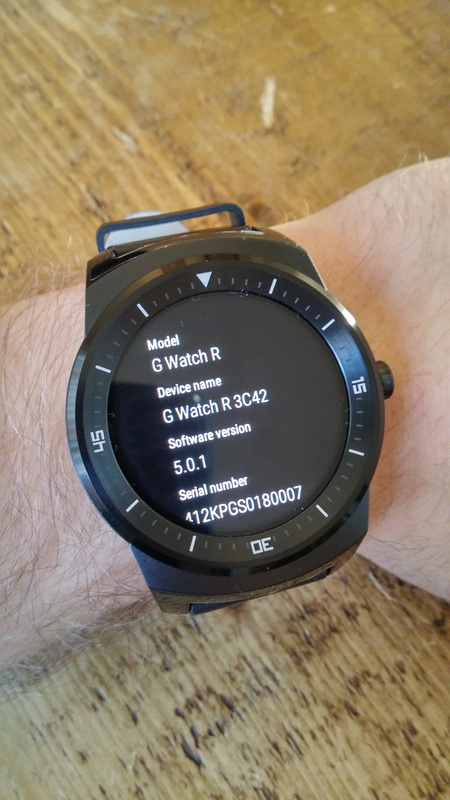 Android Wear app helpfully guides you through what your new watch can do. Quite comfortable. The screen/watch face/outer rim makes the product feel very sophisticated and premium. 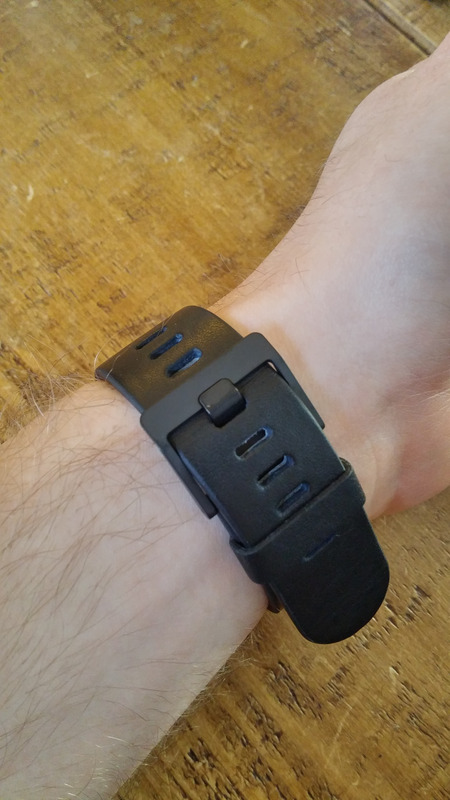 A stainless steel wrist-strap would be great. Can’t shake the cheap feeling of the strap. Colours are nicely saturated and the display is vivid. Text and images aren’t quite as crisp as I’m now used to on high end phones. It looks great, just not quite as sharp as I’m used to. (320 x 320, 245 PPI). Impressed it has a pedometer and heart rate monitor. Can actually see myself during/after a run or at the gym checking these. ‘Okay Google‘ requests take a little bit longer than on a phone. Maybe 2-3x as long. Still talking less than 20 seconds, just a bit more of a delay. 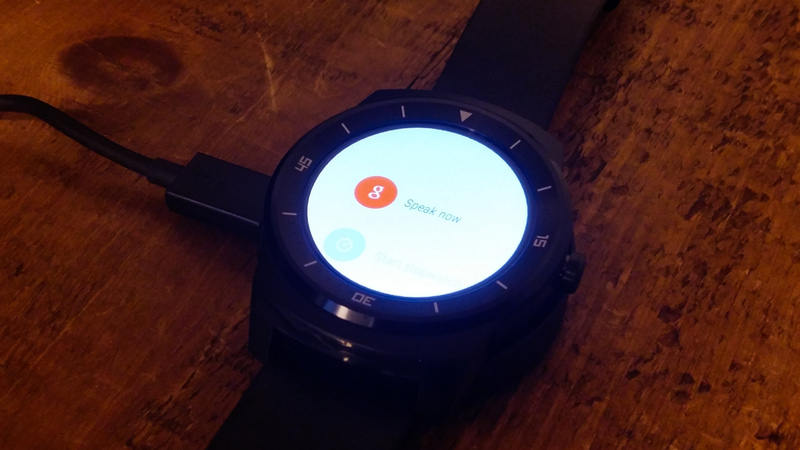 Appreciating the full screen, no Moto 360 weird bottom-black-bar-thing here. Speaking of the Moto 360 – This LG G Watch R actually has a slightly better processor and larger battery life in comparison. 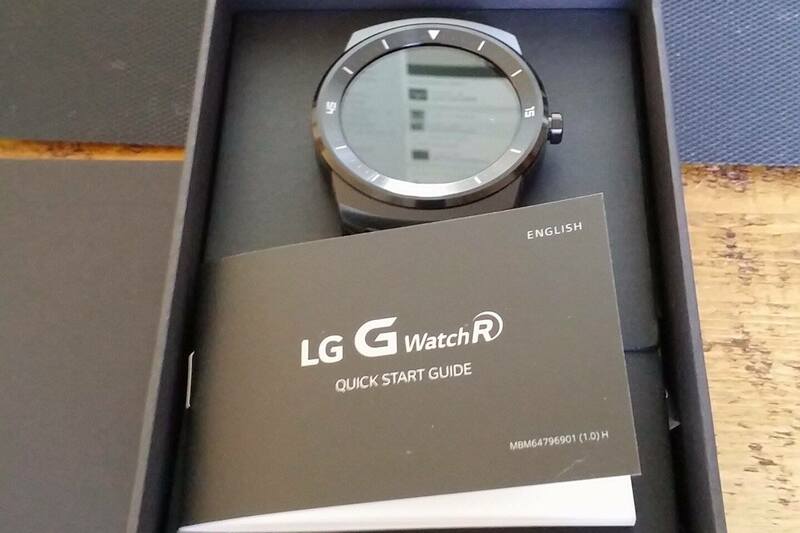 In terms of specs, this LG watch features a 1.2GHz Snapdragon 400 processor, 512MB of RAM, 4GB internal storage and a 410m battery – along with a barometer, heart rate monitor and ‘9-axis’ sensors (gyro, accelerometer and compass) and IP67 water and dust resistance. Not worried about annoying notification sounds – just swipe down from home to mute/unmute. Want to change clock face? Just tap and hold for 3 seconds to open up a selection of faces. 30 minutes – Initial reaction is very positive. It really does feel like a genuinely futuristic product. The future is now, people. Prompted to install software update 15mins after using it – presumably had been downloading the whole time. Just a thought – the charger dock needs to be heavier or have some adhesive quality to the bottom – it just gets twisted by the cable. Suggest blue-tac. Back up and running now, things are a little bit nippier. Performance is good overall, no stuttering or anything. Google requests have sped up, a little bit – I think. Or maybe it’s just the placebo effect of a software update. Either way – it’s pretty good. Good brightness for indoor use. Wondered how you access settings quickly – just press the physical wind button on the right side. Give it little shake to wake up. Turning your wrist to view the watch is enough to do this. Oh you have to pay for most of them. Fine, bought a couple (£0.79 each) – got my first email (to confirm this payment) on my watch! At least it all works! 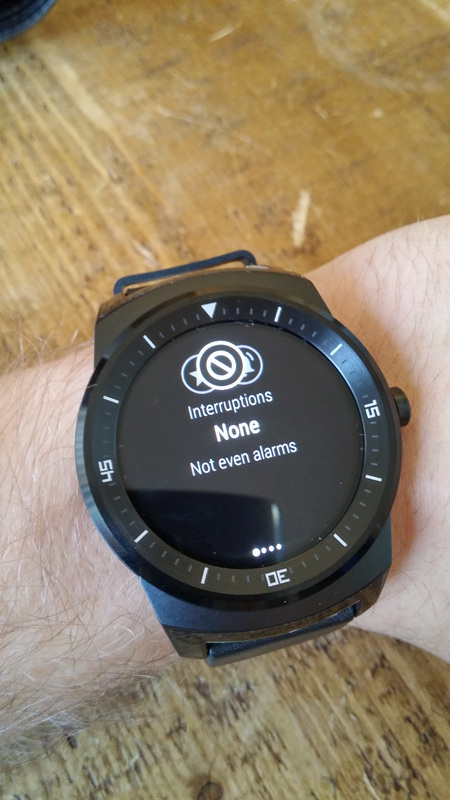 Don’t really want a complex watch face, particularly with lots of bells and whistles as when the watch goes from dimmed mode to on mode, these extra features just appear – it’s a bit jarring. Probably a good thing It doesn’t have speakers, but would be nice to hear the Google command responses. Wow! 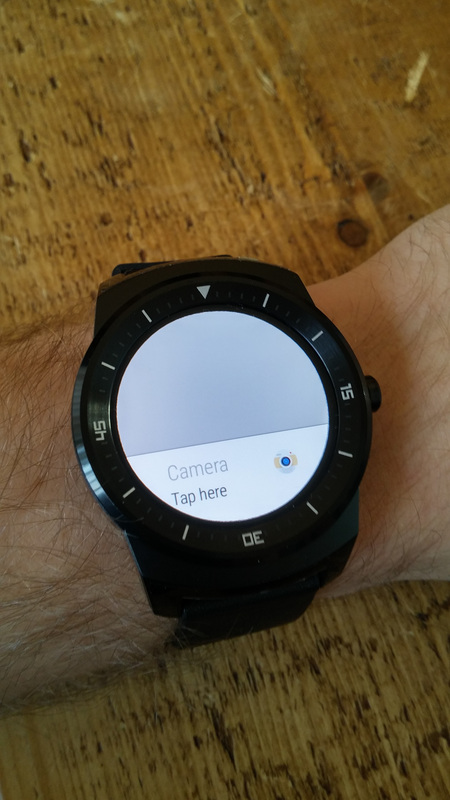 Opened the camera on my phone, had a notification of camera use on my watch – tapped it – opened up a remote camera app on the watch. I took a picture using the watch which controlled my phone. (The pic was immediately on the watch in my gallery!) What an age we live in – quality was poor I’ll be honest – but who cares it’s so cool. Also a bit fiddly holding a phone in a position to take a pic and with the other hand pressing the watch to take it. 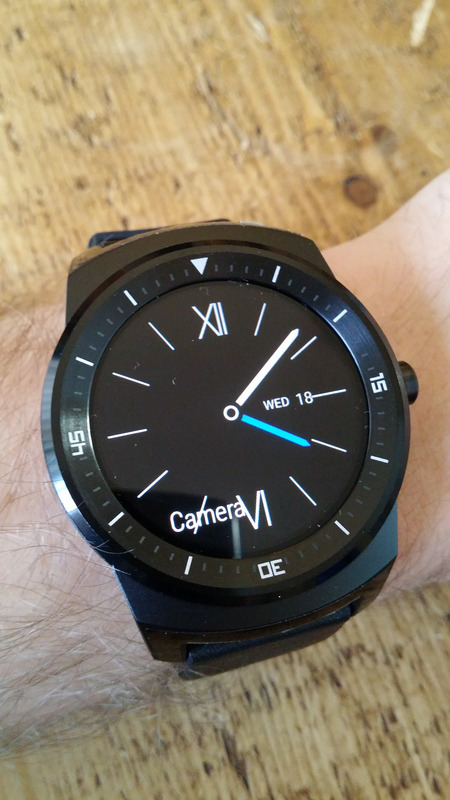 Tiny bit uncomfortable, maybe I’m just not used to wearing a watch let alone a smartwatch! 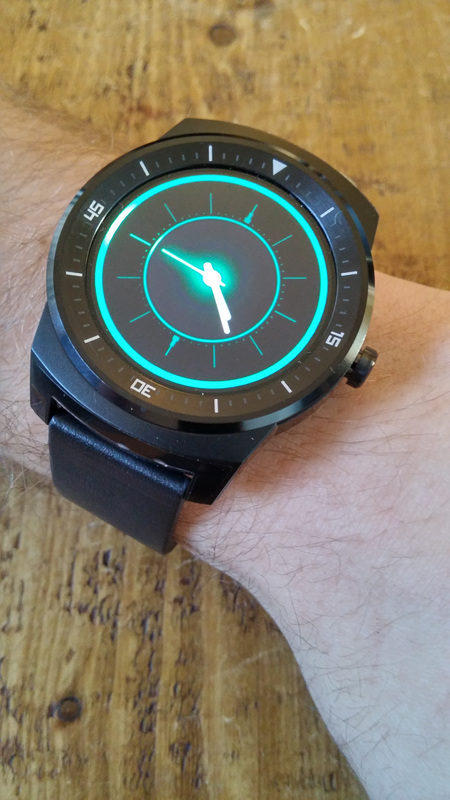 Think I’ve settled on the ‘Slate’ watch-face theme. I think… maybe I’ll have another look at the other options. Gone back to doing other work. Actually forgotten it was on my wrist – that’s a good thing, right? Oh yeah – just double tap the screen. Only swiping up when notifications come up. Duh. Double tap – take memo – speak. Save to memo app of my choice! Nifty. Stopwatch quite usual. Definitely going to make boiling eggs easier. Just click the winder button on the side to go back to main menu. Good ‘home’ button. Right well that’s an hour! Batteries at 68%. Hmm. I suppose I have been using it a lot, though. That’s something to keep an eye on in the full review! 60 Minutes – I’m still pretty excited by it. I’m struggling to choose what watch face to use! 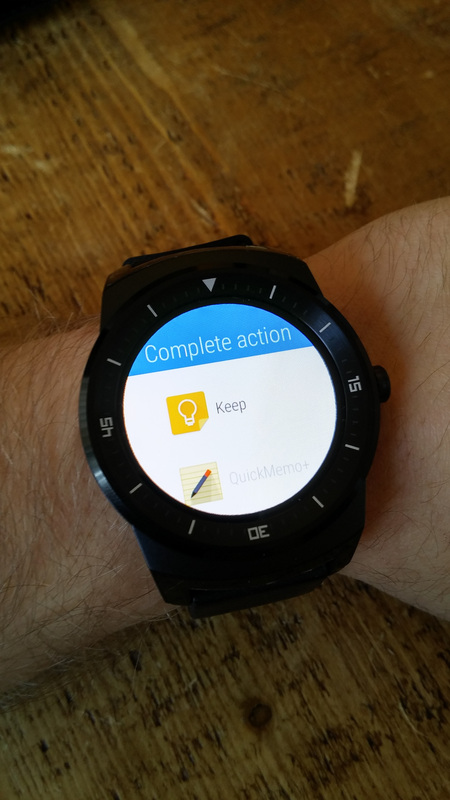 Looking forward to seeing what else the Android Wear app can offer to improve the watch. Full in-depth review coming next week! ← Samsung Galaxy Tab S 8.4 Review: The iPad Beater? Dell XPS 13 | How Small is the ‘World’s Smallest 13″ Laptop’? OMEN X by HP – A Desktop PC BEAST! Do Phones & Tablets Really Keep Us Awake?